Left out on the farm, there is the threat to turn cold. 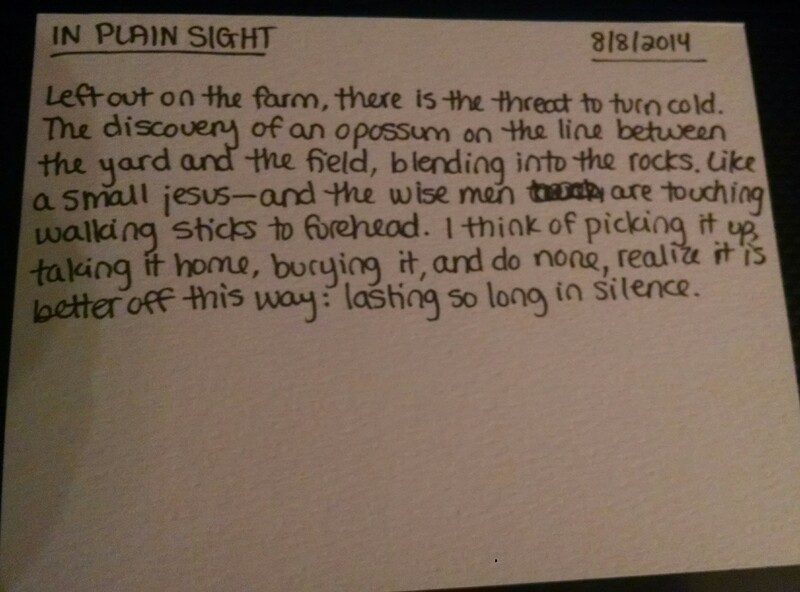 The discovery of the skeleton of an opossum on the line between the yard and the field, blending into the rocks. 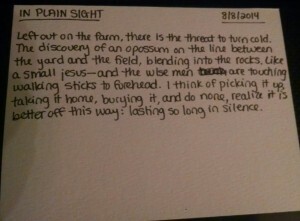 Like a small jesus—and the wise men are touching walking sticks to forehead. I think of picking it up, taking it home, burying it, and do none, realize it is better off this way: lasting so long in silence.